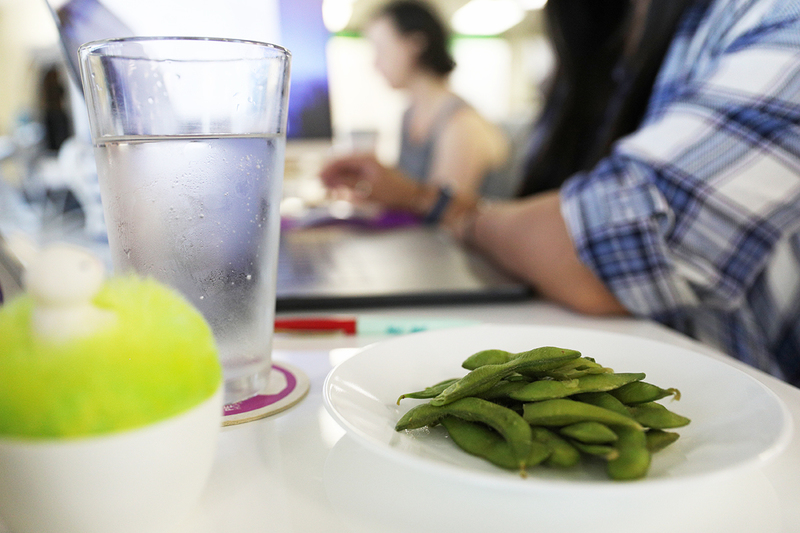 If you like to snack between meals, a day at the office can turn into an all-day graze-a-thon. It’s not just a personal problem. We office types are all in this together. A recent CareerBuilder survey found that 73% of American workers snack on the job. It’s not hard to imagine when you factor in shared baked goods in the office kitchen, “holidays” like National Donut Day or “my kids hated this cereal” rejects left for the taking. Office kitchen freebies are great, but snacking can also sneak money out of your wallet almost without you noticing. Trip to the vending machine? That’s a buck, maybe more. Quick stop at the convenience store? You might be emptying your change purse for empty calories. “Some people need something to chew on,” said Zoe Rodriguez, owner of ZBody and ZBody Strength & Fitness in Jupiter, Florida. 1. Sliced sweet peppers, either solo or dipped in low-calorie ranch dressing. Some smaller pepper varieties are easy to grow on your patio or even in a sunny indoor spot, if you want to reap a sweet pepper bounty for less. 2. Edamame. Rodriguez likes this veggie snack because it’s high in protein. 3. Carrot chips with hummus. Make hummus at home, and you could save half the typical price you’d pay at the grocery store. 4. Apple wedges and peanut butter. Rodriguez warns a serving of peanut butter is just 2 tablespoons, so don’t get carried away with the Jif. 5. A slice of whole-wheat bread with avocado or peanut butter will keep you feeling full all afternoon. 6. Kale chips. Make them yourself, and stash an airtight bag of ‘em in your desk drawer. 7. A glass of water. I know, I’m mean. But delaying your snack by just a few minutes could help you make a better decision. Or maybe you weren’t really hungry in the first place? Gasp. Nuts are good for you, but they’re very high in calories. Rodriguez is also wary of trail mix, noting that it often contains way too many nuts and chocolate candies. It’s a snack that seems like an easy go-to, but remember it’s designed for packing in energy, aka calories — not for sitting all day, she said.